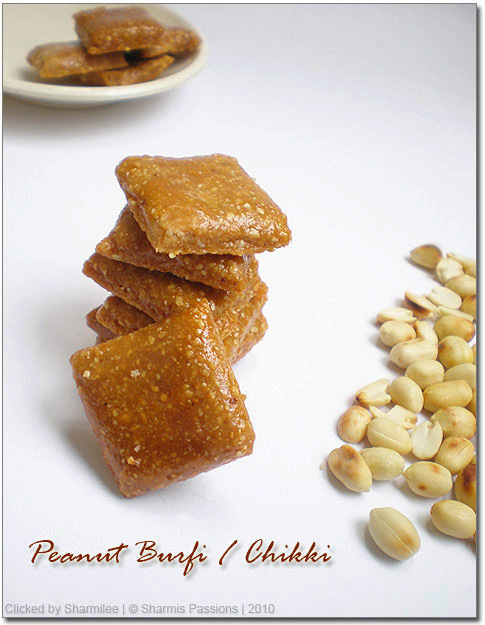 I think most of us must have tasted chikki/peanut burfi. 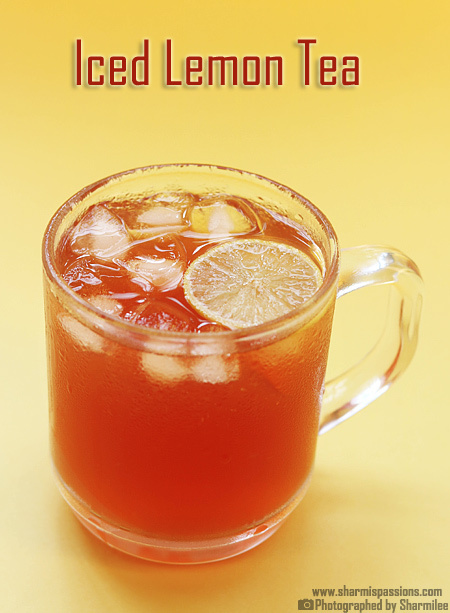 It is one of my favourites, but never knew this could be so easy to make with only 2 main ingredients. Dry roast the peanuts until crsipy and when the skin starts coming out. Take out the skin of the peanuts and powder them until fine. Grease a pan with butter/ghee and keep it ready. Take a dry pan and add sugar in it. Heat it till the sugar melts completely(Do not add water). Simmer, add the peanut powder and mix well until no lumps are formed. Swich off. Immediately transfer it to the greased plate and flatten them using chapathi roller. Then draw line with butter/ghee greased knife immediately. Be very quick in doing this step else the chikkis will harden and the lines cant be drawn. Allow it to cool down for 10mins and break the chikkis along the drawn lines.Chikkis are ready! The only and main important thing to note down is you have to be very quick after the peanut powder is added. You cannot mark lines when the burfi is cooled so draw lines immediately. These are slightly sticky by texture and crispy like the store bought ones. Isnt that super fast and easy?! I bet kids will luv it! The only time consuming part is peeling the skinof peanuts. You can get readymade roasted skin peeled peanuts which makes it all the more easy. Looks amazing! 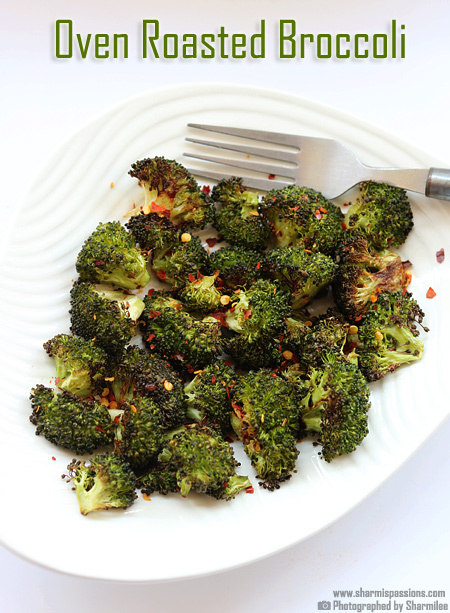 Sounds so simple to try too,simple yet delicious snack!! nice looking peanut burfi!…must taste delicious!..can u pass some over! 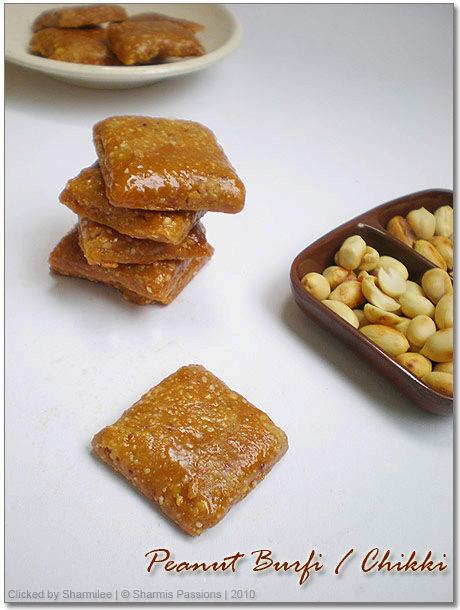 Mmm….superb.these r my favs right frm my school days 🙂 and i used to make this often for my son now a days,but never had an idea to write it on my blog..thanx for the idea,soon will post my version of chikki…njoy cooking!! Love the clicks, Sarmi. And these are my fave, snacks. Very glossy and perfect childhood candy! 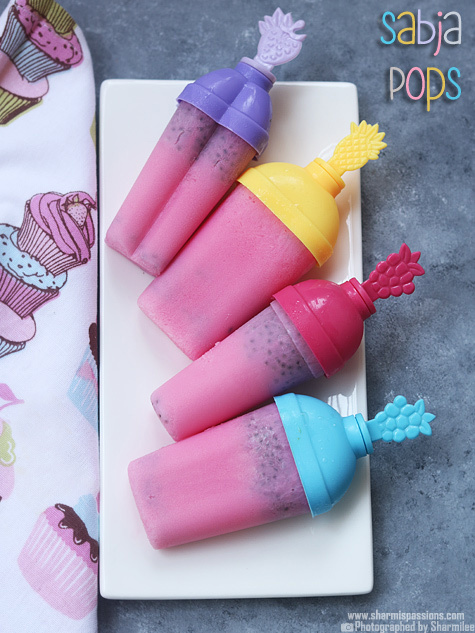 Looks delicious and very simple to try it out. This is my favourite, I can munch this all time. Kadala mittai looks very yummy. Makes me drool, love it..
My mom's and my hubby's favorite sweet. Lovely chikkis, but I was not able to read the recipe in full as few words of the ingredients section is hidden on the right, can u please check and post it again for me please. I certainly would love to read the recipe in full and make these today itself,cant wait for another day :):):):)Thanks for sharing. I checked and am able to see both the ingredients and method fully in my browser…Can u tell me which browser u r using and be more specific on which one is hiding. Becos I've checked IE,chrome and firefox and it is working fine. Chikki looks fantastic…looks perfect and beautiful clicks! That looks perfect.. actually i prefer this powdered version better than big pieces of peanuts. 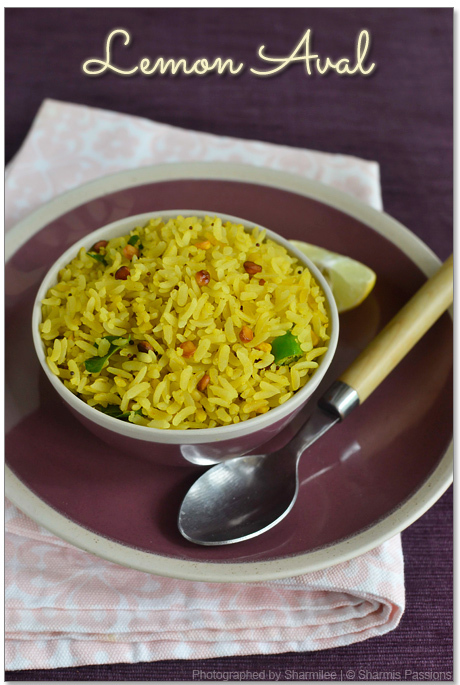 oh this is my fav, every time i go to India i make to eat a lot of it and buy them as well….looks great! 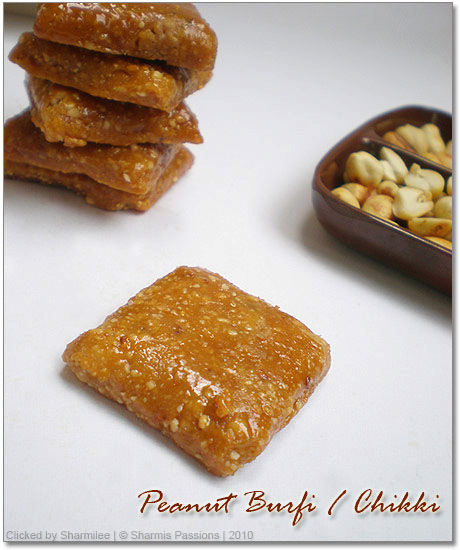 Peanut chikki looks delicious. Grandma makes with coarse peanut. this is easy to make too. Oooh those are so tempting!!! Sounds like a great recipe! super yumm.. I can keep on eating these till it gets over..
Looks mouth watering and perfect !!! WOW!! 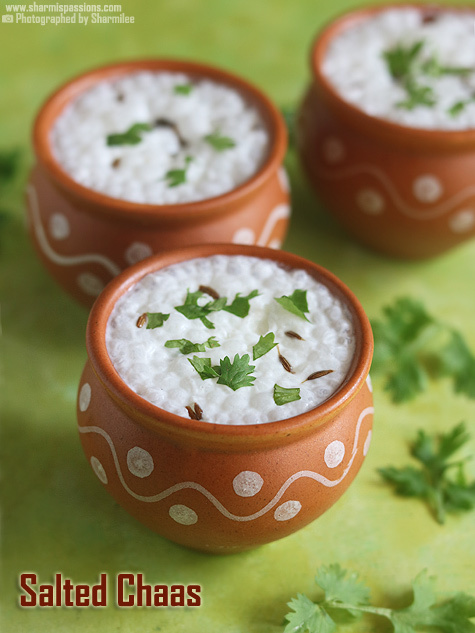 The recipe sounds really easy, will try it sometime..Fabulous clicks, Sharmi.. I also do not crush peanuts while making these. Next time will try this step. Like Chitchat I too am not been able to see the last alphabet. My browser is chrome. Lovely Chikkis. Absoultely wonderful snack with excellent picture. Thank u Ramya for following sharmispassions 🙂 The bitterness may be because of leaving the sugar to caramelise for a little more time or due to the skin of peanuts….Did u remove the skin completely? hey sharmilee, yes, i removed the skin totally. i guess it shud be because i caramelised the sugar a little more than needed. and i tried again today and as soon as the sugar melted i added the peanuts today and i ve got a totaaly non sticky ,very very light brownsih chikki. tastes nice, but still …. Your clicks are so lively and inviting…..wish i were your neighbour!!! Wow ! Such a quick and easy recipe. It was crispier than the picture when I made it. Next time will try to tune it better. Came out super crispy and yummy!! Can we do the same with badam? Have you tried badam candy? 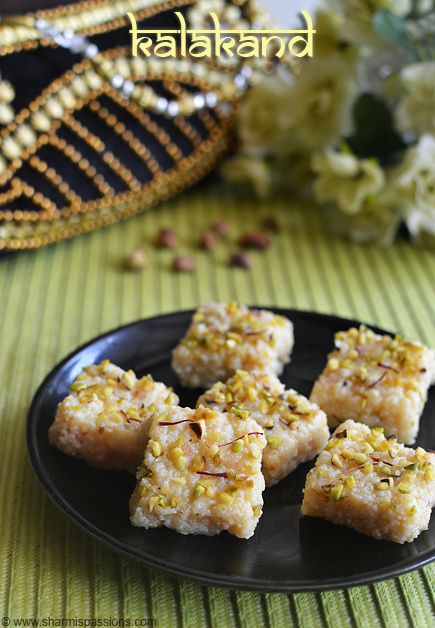 hi ur recipes are good iam trying it one by one i will try this chikki burfi thank u ……………….. Thanks for the wonderful recipe.. it came out really really well.. it was so crispy n yummy.. my husband simply loved it.. bt the color of my chikkis was bit darker.. all ur recipes r amazing ?? Yummy burfi. This is my all time favorite. I like peanut burfi with jaggery even more.